Come check out our FREE Worksheets for Subtraction with Regrouping and follow along with our videos. There are two pdf worksheets that you can download for free. 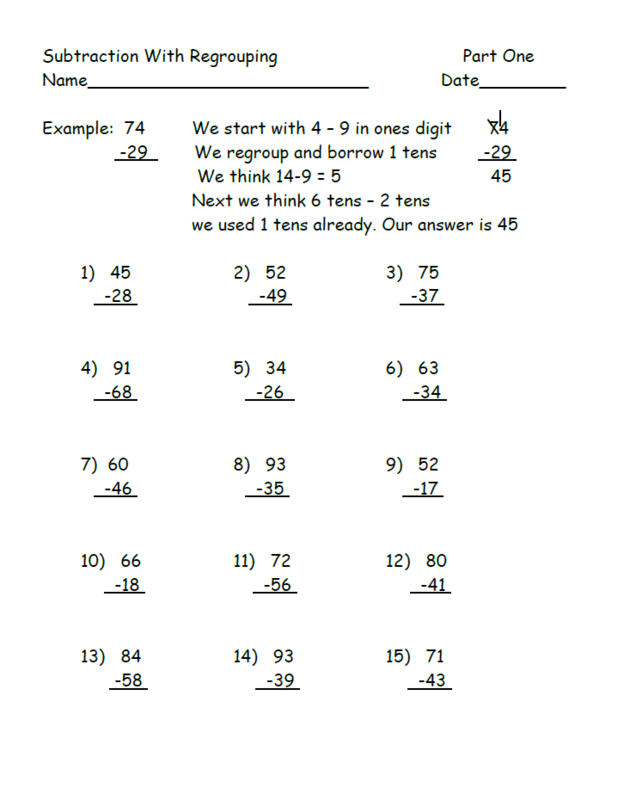 The worksheets focus on Subtraction with Regrouping and go along with our videos for second grade. All of our worksheets are free to use for whatever you wish and we hope it helps you as you follow along with the videos we have made. Keep learning and remember it gets easier with practice. Click the image for the download to begin.